The weather this week could seriously not have been more perfect – seems so fitting for the first official week of Summer! Naturally whilst strolling around Santa Monica yesterday, I decided to stroll on down to the beach to take in the beautiful Summer setting. This was one of those days where I felt so incredibly grateful to live where I live. To be able to just say, “you know what? I feel like walking down by the beach right now”… and then just doing it on a whim while its 80 and sunny… is kind of amazing. I really am so grateful for this city, this weather, and these beautiful beaches. I’m actually wearing a shirt that was made as a collaboration between Madewell and The Surfrider Foundation to support the foundation’s mission to protect and preserve our beautiful coastlines. 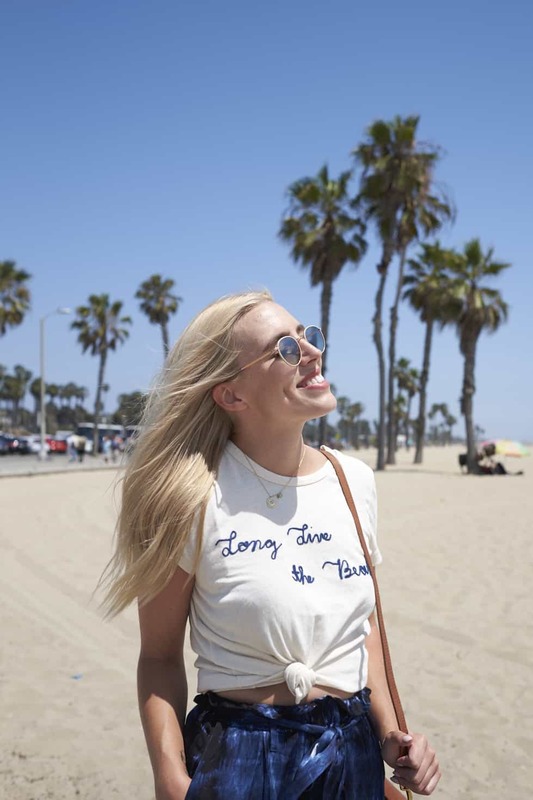 They have a small limited collection out right now that includes this ADORABLE t-shirt that comes in blue or red writing, along with a great little straw tote and some fun pairs of sunnies. 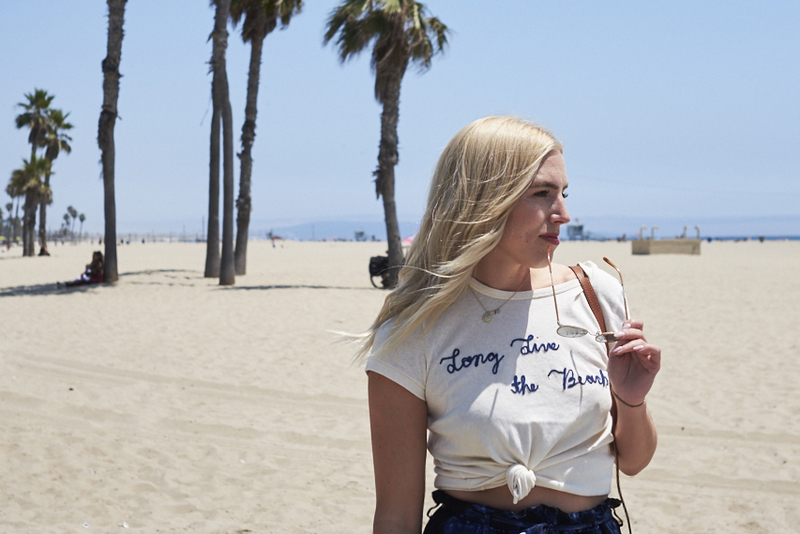 Hope you get to make it out to the beach soon this Summer, it’s an absolute LA must. Even if you don’t actually go IN the water, you gotta go take in the scenery a bit. And don’t forget that the Santa Monica Concert Twilight Concert Series has started and is such a fun way to spend a Thursday night by the beach!